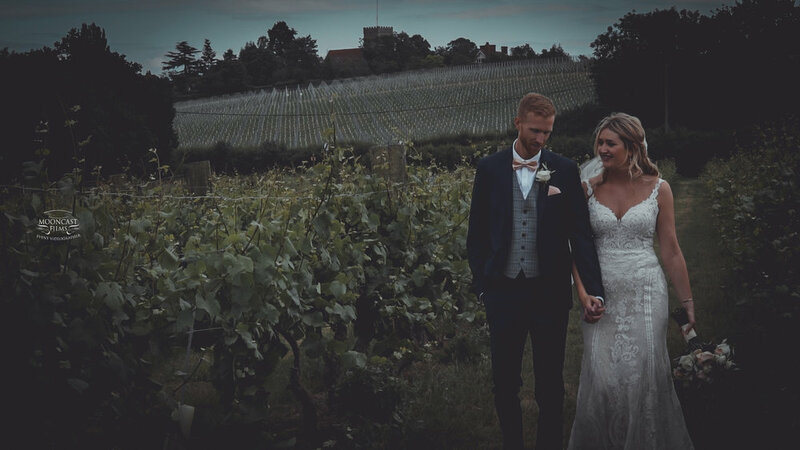 With a passion for wine, beautiful scenery and looking for something unique - we wanted to find an English vineyard within an hour from home that delivered great food. HOW ABOUT THE PROPOSAL ? We had rented electric boats to go down the Nantes-Brest canal. Kyle asked me to take over the driving and as we passed chateau Josselin, he got down on one knee, confessed his undying love for me and proposed! My parents were in on it and had a magnum of champagne chilling in the car, ready to celebrate!